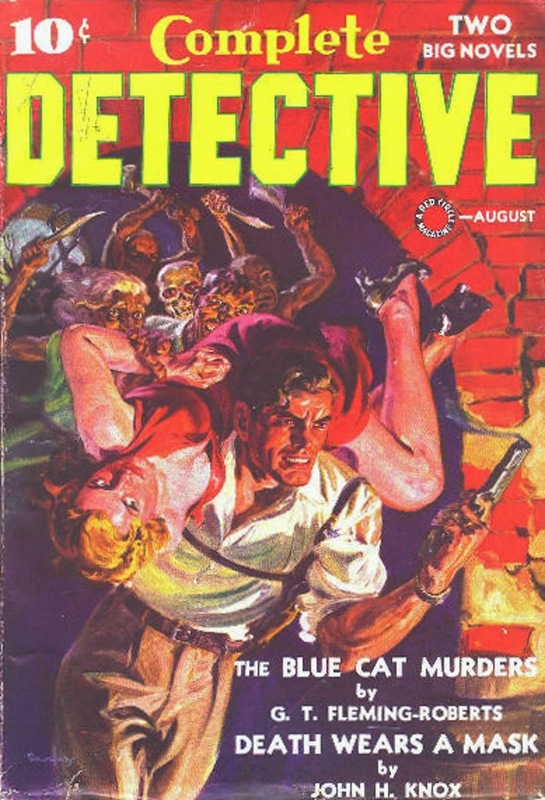 Great Saunders cover and a story by Hugh B. Cave. Wonderful. With stories by Cave, Knox, and Blassingame, you'd think this was a Weird Menace pulp. But pulp authors were nothing if not versatile. Versatile indeed. Both covers this weekend are great. Thanks, again, for doing this series, James. I have a lot of fun doing the pulp posts. I'm starting to forget which covers I've posted before, though! If I repeat myself, I hope everyone will forgive me.